In the image was published on 20 April 2017 by Indigo Dreams. In this, her tenth book, Alwyn Marriage brings to vivid life a group of women who, though they lived centuries ago, shared many of the hopes, thoughts and emotions that we experience today. Alwyn, who has been a university lecturer, Director of two international NGOs and an international Rockefeller scholar, is Managing Editor of Oversteps Books and a research fellow at Surrey University. 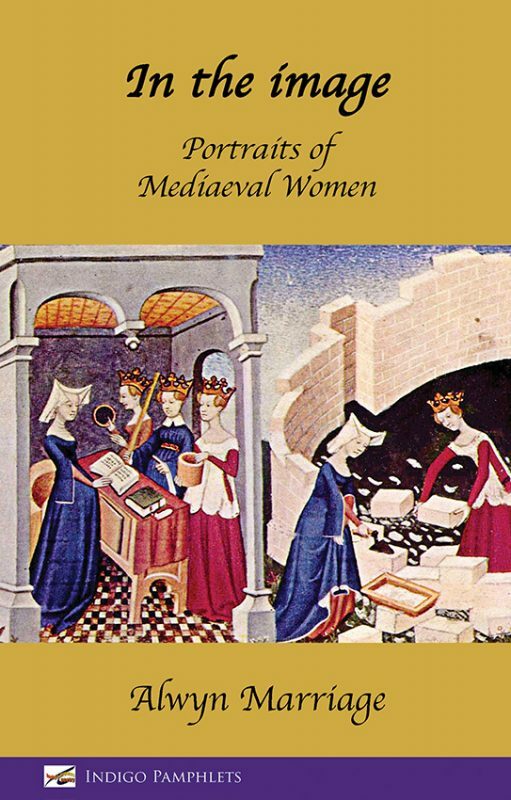 Vibrant, evocative, and daring, Alwyn Marriage’s poems celebrate the actions, thoughts and emotions of challenging and powerful medieval women, and of the men who loved them. In this collection we encounter figures like Clare of Assisi, Hildegard von Bingen, and Julian of Norwich, but see them from an unfamiliar angle that reveals their vulnerabilities as well as their strength. The poems draw the reader into a world distant in time, bringing the past to life, vividly and uncompromisingly. Alwyn Marriage paints vivid images of eight women: nuns, mystics, saints, a queen and Dante’s muse, who lived in the four centuries after the year 1000. In common, they had passion, whether it was Godiva’s passionate love of justice, Hildegard’s passionate longing for the Divine, or the more earthly passion of Clare and Heloïse, all expressed eloquently in poems as bright as illuminated missals.